do-Organizer includes useful tools to improve your experience and qualify you as an achiever. 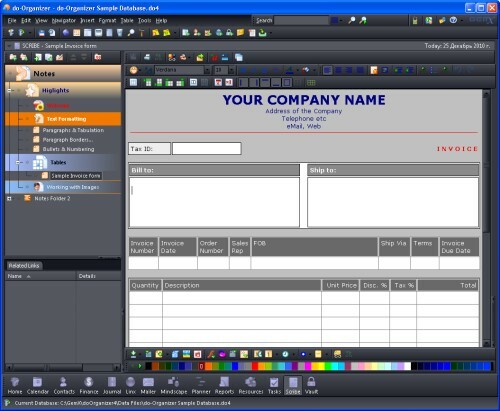 Store valuable information with a versatile, elegant, and customizable data manager. Unique, elegant, affordable, customizable and friendly information management system for private or business use.